You’ve decided you want a bespoke piece of Art for your business. 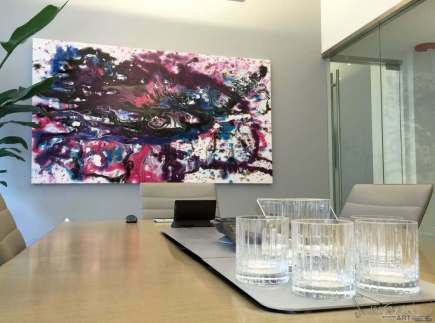 Hats off to you, you are one of a growing number of companies who have recognised and understood the power and impact of art in corporate spaces. If you haven’t and you just really fancied some nice art work you can read about the considerable benefits of a corporate art collection here in my previous blog post on choosing art for your business. Commissioning a piece of art can be a lengthy and rewarding experience, depending on how good you are at communicating your vision and how good the artist is at translating this onto canvas. Walking into an art studio and buying a piece of work straight off the wall and having a piece of work created specifically for you are two completely different animals. In this blog we will explain the most important questions you need to ask and the things you need to consider in our guide to commissioning art. Before you give your artist the go ahead you need to ask a few important questions. Does the artist have experience in producing commissioned works of art and can they show you some examples? 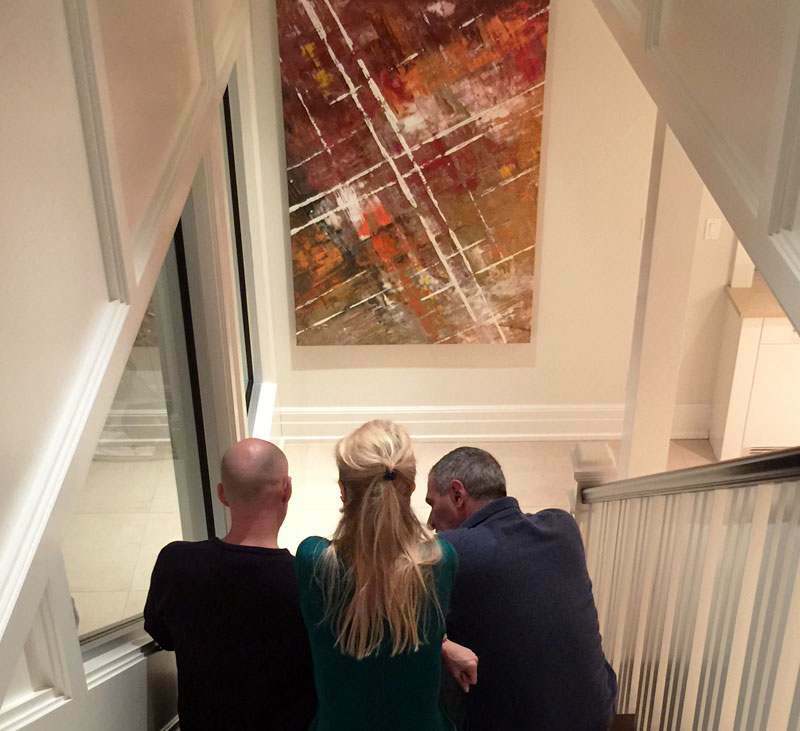 Many artists will have a number of stages in the art work before they get to the final piece and having them talk you through the customer journey will give you a greater understanding of the process and an insight as to their experience and level of comfort delivering this type of work. Will this piece of work be a reflection of your corporate branding? Do you have a colour theme, have you got a brief for the work? 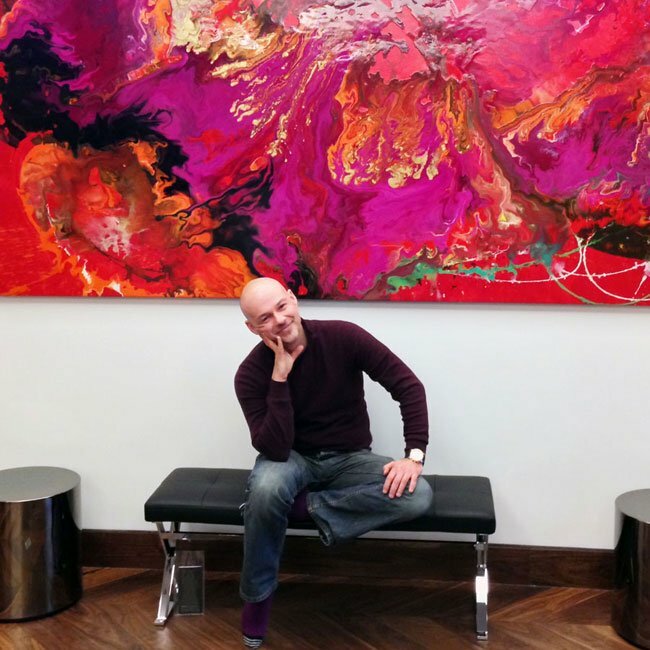 If you don’t know what you want, the chances of the artist being able to create something that you will be happy to display on your walls is greatly reduced. Artists have creative flair but they are not mind readers. Creating your brief is an essential part of this process. The artist will be happy to collaborate with you, helping you to decide what it is you actually want but you’ll need at least a vague idea before you approach anyone. My advice is to do some research. Think about what you like. If you have a marketing or design team make sure everyone is on the same page and that the artist has examples of your branding and corporate image to refer to. Understanding the process from the beginning will ensure a much more enjoyable commissioning experience. Make sure you understand what the artist needs from you, the time scale and level of communication needed to make this relationship work. Do you have clear expectations and have you communicated them to the artist? Have you been clear about the date by which you want the art work delivered, does your artist agree that this is realistic and do you have a clear understanding of all the costs involved? I’ve said it before but I’ll say it again because it really is that important, communication is the key to making sure the final piece is as close as possible to the vision you had in your mind. Getting clarity at the very beginning will save you from potential disappointment, frustration and prevent the need for any difficult conversations. At significant number of art works I have created over the years have been commissioned pieces. I have years of experience dealing with clients at varying stages of their buying journey. Some of my clients know exactly what they want whilst others only have a vague idea or colour in mind. I apply my experience, expertise and knowledge to support the client throughout the entire process, taking them from vision to reality and this is how I do it. Site Visit – this is the first and most important step in the process. We have to visit your site to see the to assess which walls need filling and what is optimal for the working environment. I also look at light and space considerations – by that I mean the way light enters the building and how that changes during the day as well as what kind of light is in each space (eg. do people work or commune in a space and if so is it lit naturally or artificially etc). I take a compass reading to assess where South is. We then consider your brand to determine if your corporate identity needs to be made a focus for key pieces. Styles are the next consideration. Passing spaces like stairways and corridors suit certain kinds of styles whereas open communal areas can take others. Offices and shared work spaces are the most critical. I ask questions about colour preferences. These questions are centred around the clients likes and dislikes. I understand that not everyone is an art expert but there aren’t many people who need to be. You only need to know what you like and then tell me what that is. Not everyone has a clear idea on this but most have some kind of preference and should be familiar with my work by the time I arrive on site. After the above steps are completed, I go and paint two canvases and then we begin the task of photographing and Photoshopping from there to get closer to the final piece. Essentially I keep pianting until you go nuts with excitement! If you would like to start your own commissioning journey get in touch and let’s start bringing your vision to life on canvas. Thanks Ed, As usual you are succinct personal and have clarity.